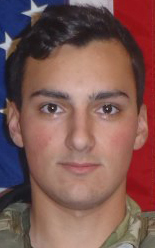 25, of Leavenworth, Washington, died Nov. 24 from wounds sustained from small arms fire while conducting combat operations in Khash Rod district, Afghanistan. The incident is under investigation. Jasso was a team leader assigned to 2nd Battalion, 75th Ranger Regiment, at Joint Base Lewis-McChord, Washington. The Pentagon on Sunday released the name of the soldier killed this weekend in Afghanistan. Sgt. Leandro Jasso, 25, was deployed in support of Operation Freedom’s Sentinel. He was wounded by small arms fire while conducting combat operations in Khash Rod district, in Afghanistan’s Nimruz province. He was immediately treated and medically evacuated to the nearest medical treatment facility, in Garmsir district, in neighboring Helmand province, where he died Saturday of his wounds, according to U.S. Army Special Operations Command. Jasso was a team leader assigned to 2nd Battalion, 75th Ranger Regiment, at Joint Base Lewis-McChord, Washington. He was on his third deployment to Afghanistan. A native of Leavenworth, Washington, Jasso enlisted in the Army in August 2012, according to USASOC. After completing initial entry training and airborne school, he successfully completed the Ranger Assessment and Selection Program and was assigned to 2nd Battalion, 75th Ranger Regiment. His awards and decorations include the Army Achievement Medal, the Army Good Conduct Medal, the Ranger Tab, the Combat Infantryman Badge and the Expert Infantryman Badge. “Sgt. Jasso was a humble professional who placed the mission first, lived the Ranger Creed and will be deeply missed,” said Lt. Col. Rob McChrystal, commander of 2nd Battalion, 75th Ranger Regiment, in a statement. Jasso is the 10th U.S. service member killed this year in Afghanistan.